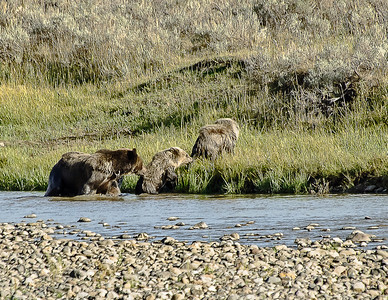 Grizzly Bear hunting tubers, Yellowstone Fall. 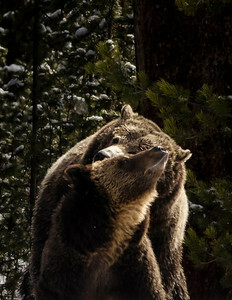 My favorite, look at the claws. 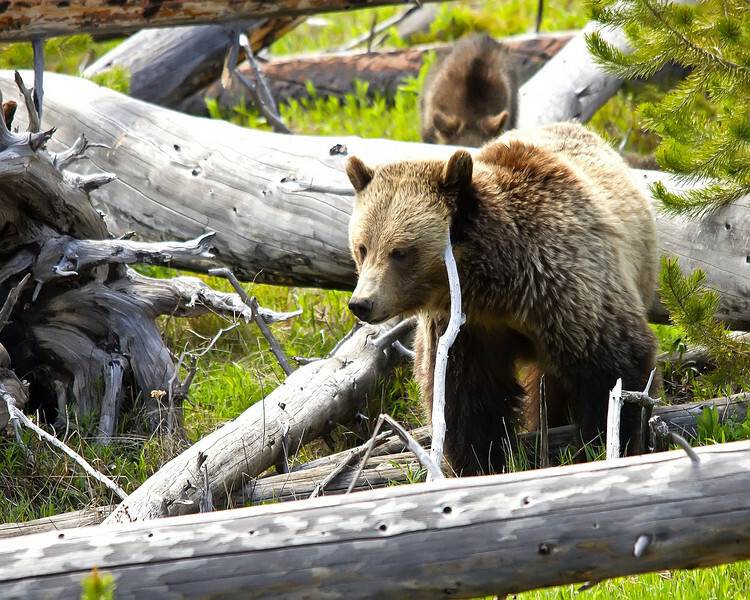 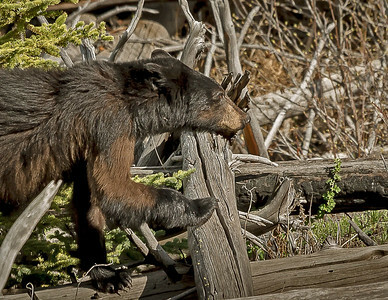 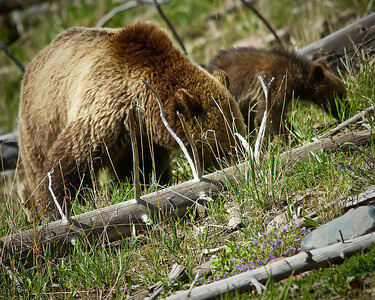 Grizzly Bear Digging Roots in the Spring, Greater Yellowstone Ecosystem. 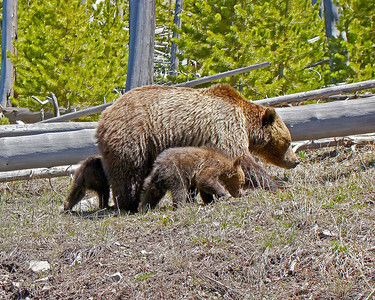 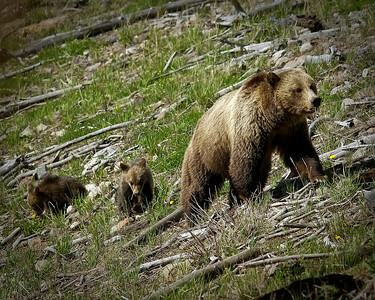 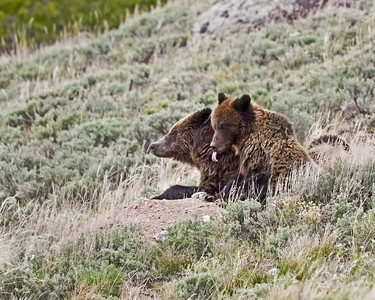 Grizzly Sow with two Coy, (cubs), Yellowstone National Park. 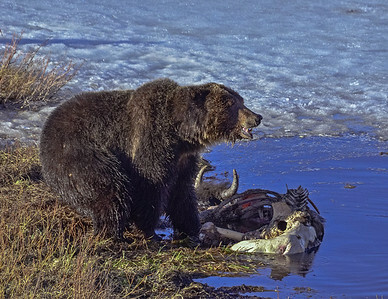 Grizzly Bear on a winter kill Bison carcass, Yellowstone National Park. 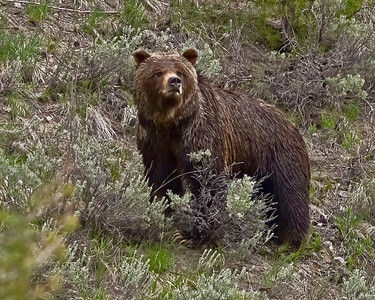 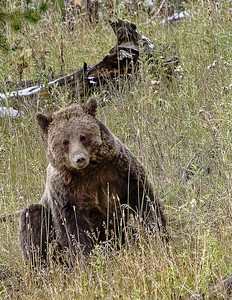 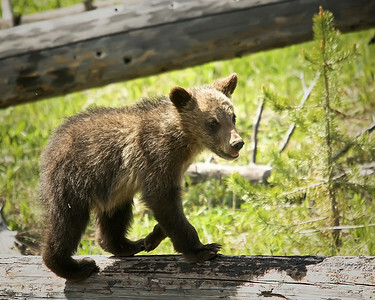 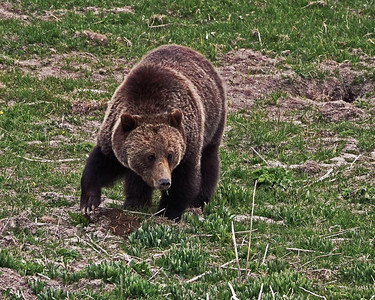 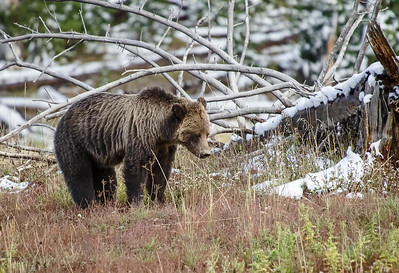 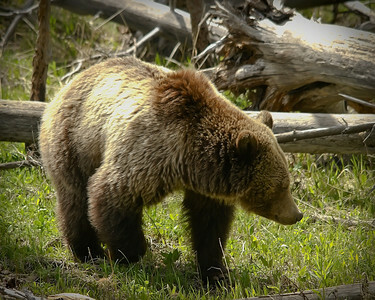 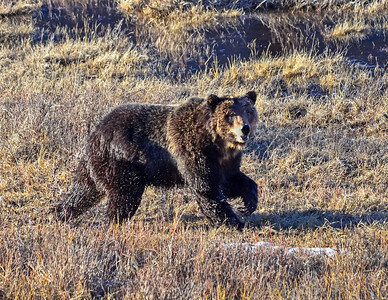 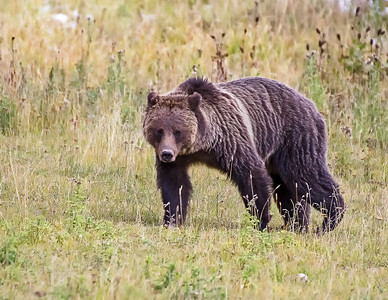 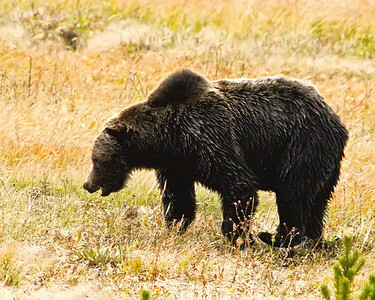 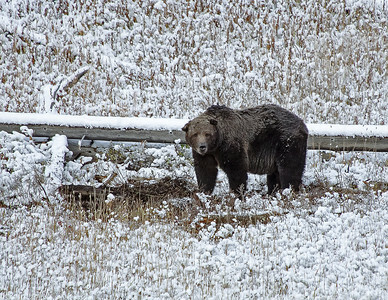 A young Grizzly early April 2013 just out of hibernation, Yellowstone NP. 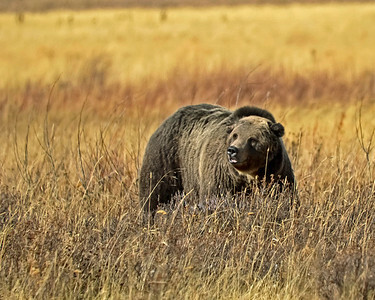 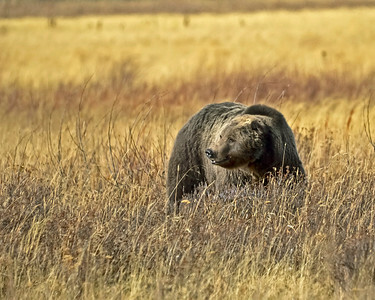 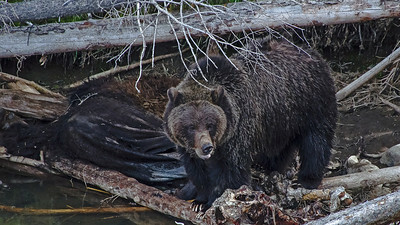 A grizzly Sow with Coy along the Lamar River, Yellowstone Park. 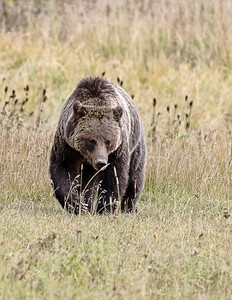 Grizzly scavenging along the Lamar River Yellowstone Park. 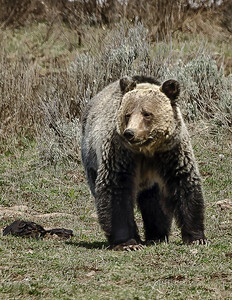 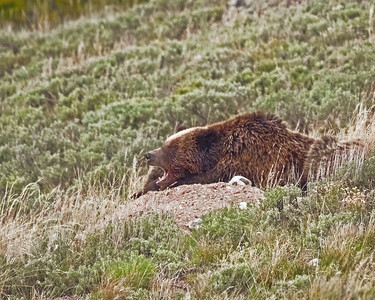 Grizzlies are great scavengers. 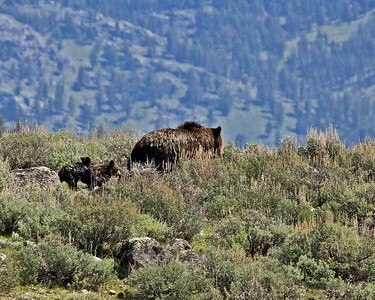 Scarface, a crowd and photographer pleaser, Yellowstone. 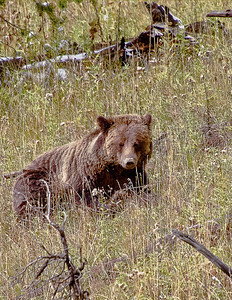 Scarface is approximately 25 years old and still going strong. 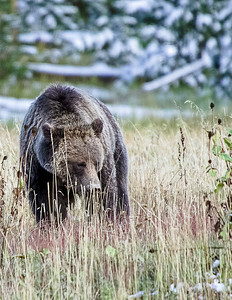 Late Fall Grizzly Bear looking for roots. 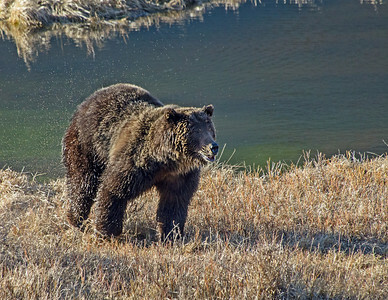 Photographed in Hayden Valley, Yellowstone Park last May.